Mentioned more than any other plant in the entire Bible, the grape vine was very important culturally and economically in biblical times. Because of its centrality in everyday life, it is often used symbolically in Scripture. 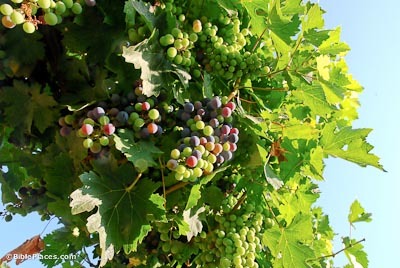 A fruitful vine was a symbol of obedient Israel, while wild grapes or an empty vine spoke of Israel’s disobedience (Jer 2:21). This woody vine is only cultivated with effort and hard work. Isaiah 5:1-8 records part of the process. 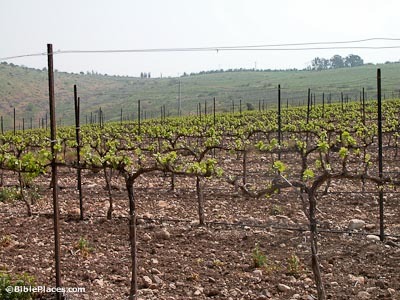 Typically grown on a hill, a vineyard needed to be cleared of many stones which are common in Israel. Only then could vines be planted. A wall or hedge built around the vineyard, along with a watch tower, kept thieves at bay. 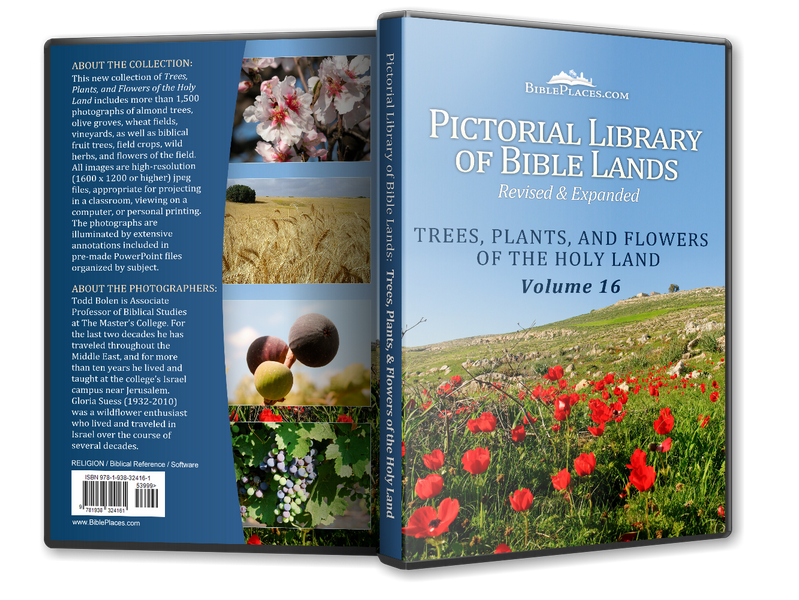 The plant requires pruning in order to bear fruit (John 15:1-2). 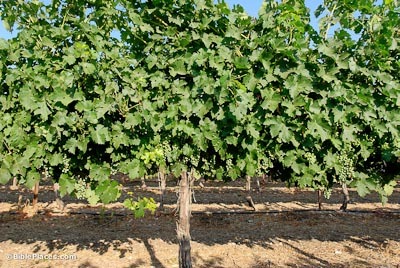 The grape vine can grow on the ground, on stakes or poles, or can be planted in an orchard and trained to climb trees. The sweet fruit with white flesh, and green, red, or purple skins, grows in clusters. The produce can be eaten fresh, dried for raisins, pressed for wine, or made into vinegar. Grape leaves are also used in some Middle-Eastern recipes. Wine was often mixed with stale cistern water to make it drinkable. 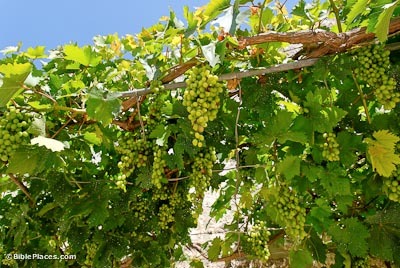 The vine is listed in Deuteronomy 8:8 as one of the seven species in the good land that God was giving to the nation of Israel. 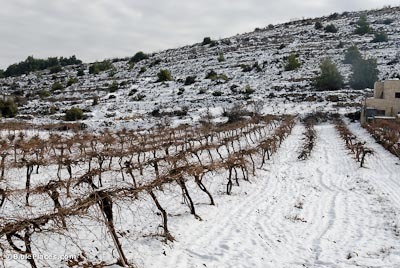 It was a land where the grapes grew in large clusters as reported by the expedition of Hebrew spies sent into Canaan (Num 13:23). The grape clusters were so large that they carried them on a stick between two men. This gift from God was meant to be enjoyed and men were not to go to war until they had tasted of their own grape harvest according to Deuteronomy 20:6. “Jesus said, ‘I am the true vine and my Father is the gardener. He takes away every branch that does not bear fruit in me. He prunes every branch that bears fruit so that it will bear more fruit. You are clean already because of the word that I have spoken to you. Remain in me, and I will remain in you. Just as the branch cannot bear fruit by itself, unless it remains in the vine, so neither can you unless you remain in me. I am the vine; you are the branches. The one who remains in me – and I in him – bears much fruit, because apart from me you can accomplish nothing'” (John 15:1–5, NET).